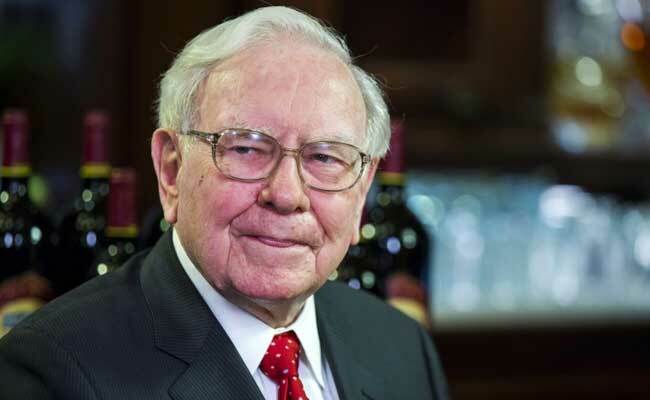 The Oracle of Omaha and CEO of Berkshire Hathaway Warren Buffett joined the league of experts who have slammed the euphoria around the rise of bitcoin prices in recent past. He was short of calling bitcoins illegitimate or illegal. Some experts such as Joseph Stiglitz have unequivocally called for making bitcoins illegal. On Wednesday, Buffett said that he will never invest in cryptocurrencies such as bitcoin, ethereum, litecoin, TRON and ripple among others. Taking a sharp stand against bitcoins, Buffett said, "I can say almost with certainty that cryptocurrencies will come to a bad end." 1. Warren Buffett's comments come a day after JPMorgan & Chase chief executive Jamie Dimon said that he regrets calling bitcoin a fraud, referring to comments he made at a banking conference in September. 4. Bitcoin has taken the investing world by storm, surging to a high of more than $19,000 on December 17 and created a divide on Wall Street about whether it is a legitimate financial instrument. 5. Park Sang-ki, South Korea's justice minister said this week that the country is preparing to ban all cryptocurrency trading in the country. 6. Yale University's Jackson Institute for Global Affairs' senior fellow Stephen S. Roach called bitcoin a "dangerous speculative bubble by any shadow or stretch of the imagination" and a "toxic concept for investors." 7. Nobel-Prize winning economist Robert J Shiller called bitcoin "the best example" of a speculative bubble. He said this early this year when the bitcoin price was around $5,000. Shiller also remarked, "The Bitcoin price is like a thermometer measuring the intensity of the epidemic." 9. Governor of the Bank of Japan Haruhiko Kuroda said, the price increase in bitcoin was "abnormal" and bitcoin is "being traded for investment or speculative purposes". 10. Reserve Bank of Australia's governor Philip Lowe said the fascination with virtual currencies such as bitcoins a "speculative mania".